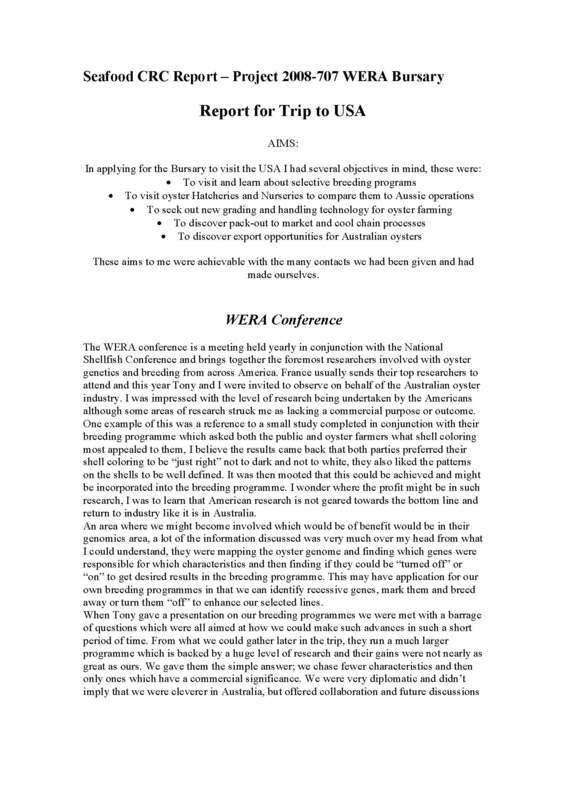 The WERA conference is a meeting held yearly in conjunction with the National Shellfish Conference and brings together the foremost researchers involved with oyster genetics and breeding from across America. France usually sends their top researchers to attend and this year Tony and I were invited to observe on behalf of the Australian oyster industry. I was impressed with the level of research being undertaken by the Americans although some areas of research struck me as lacking a commercial purpose or outcome. One example of this was a reference to a small study completed in conjunction with their breeding programme which asked both the public and oyster farmers what shell coloring most appealed to them, I believe the results came back that both parties preferred their shell coloring to be "just right" not to dark and not to white, they also liked the patterns on the shells to be well defined. It was then mooted that this could be achieved and might be incorporated into the breeding programme. I wonder where the profit might be in such research, I was to learn that American research is not geared towards the bottom line and return to industry like it is in Australia. An area where we might become involved which would be of benefit would be in their genomics area, a lot of the information discussed was very much over my head from what I could understand, they were mapping the oyster genome and finding which genes were responsible for which characteristics and then finding if they could be "turned off" or "on" to get desired results in the breeding programme. This may have application for our own breeding programmes in that we can identify recessive genes, mark them and breed away or turn them "off" to enhance our selected lines.